Tucked away in the back of your kitchen cupboard, or perhaps in your mother’s kitchen cupboard, you might find a dusty little jar stamped with a familiar picture of a dragon on it. It’s the Chinese five-spice powder that you first saw when your mother tried to introduce exotic into her daily cuisine. And perhaps you’ve since become a huge fan of Chinese, like so many other Americans. Perhaps that jar of Chinese five-spice is spanking new, ordered online from a chi-chi spice boutique like Penzey’s. Chinese food in America hasn’t got much to do with Kolkata or Bengali food, and I mention it only for sake of comparison. Chinese food is ubiquitous in America. You can find three Chinese restaurants on one city block in New York City, but you can also find a Chinese restaurant in a place like Kansas, off the highway on the way between one small town and a village. Chinese food was introduced to American eaters as early as the 19th century, when the gold rush brought Chinese labor immigrants to the California coast. Since then, Americans have been sampling Chinese in chow chows and restaurants as well as in their own homes. The incorporation of Chinese into American home cooking really took off in the 1970s, and I remember evenings when I would help my mother in the kitchen as she prepared wontons and beef stir fry from her electric wok. Cooking Chinese then was an event. Usually my mother reserved the wok for company. And long before it was common to have chopsticks in the utensil drawer, I pulled out the forks, the knives and, from the pantry, the box of La Choy fortune cookies. Indian night was never event at our house. Although Indian immigration also took off in the 1970’s, America did not see its largest wave until just this past decade. In these initial years of the twenty-first century, Indian is increasingly popular choice for people wanting a night away from the kitchen. But cooking Indian meals at home is still a novelty, performed only by serious connoisseurs or, in my sister-in-law’s case, travelers who spent time in India and want to re-create the experience at home. 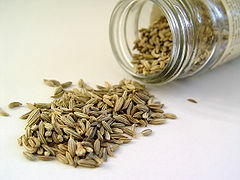 Regional recipes and spice blends have yet to make it into American kitchens or into the product lines of spice companies here. Panch phoran (pronounced ‘panch foron’), is a five-spice mixture used in Northeast Indian cooking and almost synonymous with Bengali cuisine. But I bet you’ve never heard of it. It is, to be wholly biased, the bomb of Indian cooking. Let me shout that from the rooftops. It’s THE BOMB of Indian cooking! I am frequently dismayed that, unlike Chinese five spice, panch phoran has not entered the lexicon of American cooks. That’s not surprising given that it’s barely made a dent in Indian restaurants (which although frequently Bengali-run, seem to offer dishes only from North India). Panch phoran has not even made it into the catalogues of boutique spice dealers. I checked out several spice houses yesterday; they each carry a good-looking Chinese five-spice (not to mention Japanese, Persian and Arab spice blends) but no Bengali version. I can’t even find it at my usual go-to for Indian ingredients, Kalustyan’s. 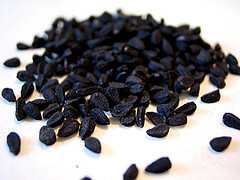 Nigella seed (kalonji) – also known as wild onion seed or black mustard seed. 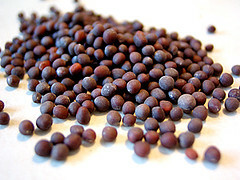 Black Mustard seed (rai or shorshe) – sometimes the mustard seed is replaced by another spice called rhaduni, or wild celery seed. 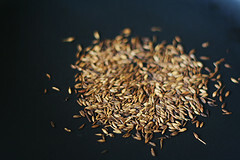 In most Bengali cooking, the blend is usually used whole, so it’s better to keep the mix of spices whole, not ground. 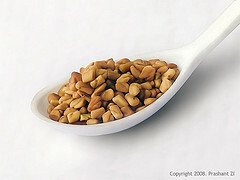 Generally, panch phoran is added at the very beginning of cooking. When the oil for cooking is hot, cooks will throw in the spices to temper the oil. The flavor is then imparted throughout the dish. Sometimes cooks will dry roast and grind the blend into a powder and add it as a finishing touch to chutneys. Traditionally, panch phoran is added to only vegetable dishes. If I could, I would add panch phoran to every Indian dish I made, but it would then cease to be special. However, with its balance of sweet and spice, this Bengali five-spice has the potential to become a favorite in American cupboards. Like Chinese five-spice powder, it’s suited to being assimilated into traditionally Western recipes. Indeed, Indian-American cooks regularly experiment with it. Try it. You are going to love it. And I dare you to share your own creations here. In the meantime, I’ll leave you with a traditional Bengali mixed vegetable dish. This recipe can include any vegetables you like, so feel free to experiment. Heat the oil on medium-low heat in a large frying pan or pot. When the oil is hot, add the panch phoran and the chilies and cook until the spices begin to pop and emit a fragrance. Add the diced potatoes and the turmeric and sauté for about 5 minutes. Then add the squash and sauté for another 5 minutes. Next, add the water, green beans, tomatoes, salt and sugar to taste and cook until the mixture is nearly dry. Serve the vegetables with rice, roti, or parathas.